The Glades (1x13) Breaking Eighty. . Wallpaper and background images in the The Glades club tagged: jim longworth callie cargill the glades a&e matt passmore kiele sanchez. 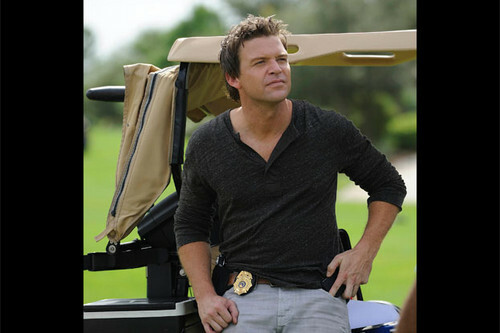 This The Glades photo might contain hip boot and thigh boot.